Comfort and joy and a new baby to share Christmas with! 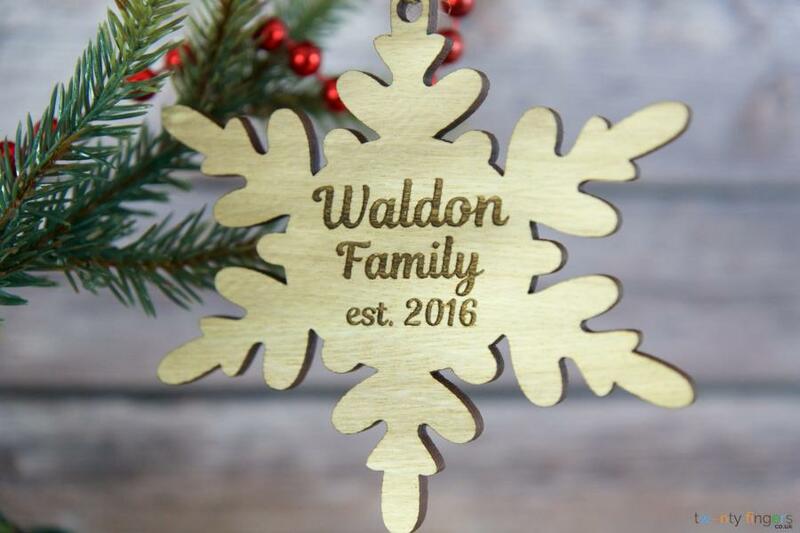 Here at Twenty Fingers we love Christmas, and we love babies, so we’ve created a fab wooden tree decoration that celebrates the two! What a fantastic keepsake for a new family (well, we think so)! How do I personalise my tree decoration, and what comes next? Free UK delivery and returns – our gift to you! You’re like family to us, so all our customers get free UK delivery on orders over £39 – because family means everything. We’re pretty certain you’ll love our personalised decorations, but in case you don’t, we’ve got you covered. Need a refund? Happy to oblige, so order from Twenty Fingers today! Not what you’re looking for? 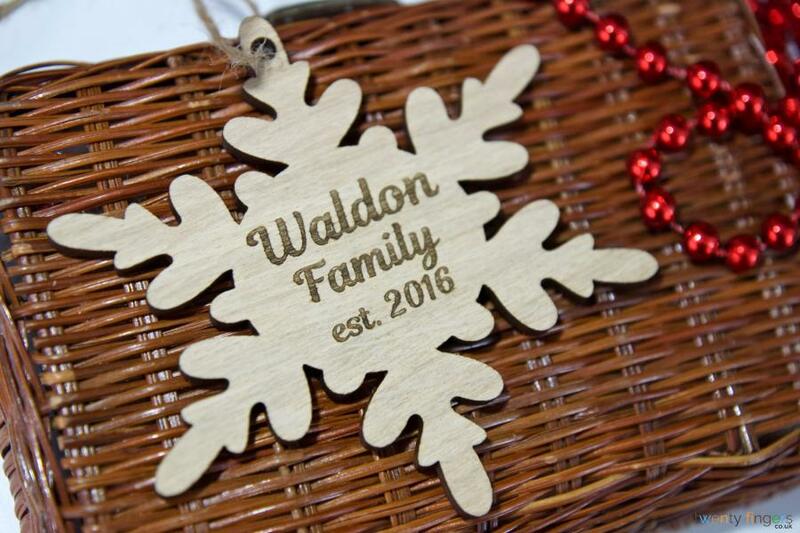 We’ve got loads more lovely personalised Christmas tree decorations!